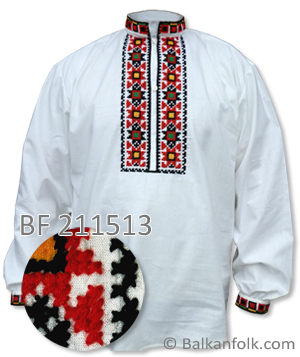 Traditional embroidered bulgarian man's shirt (code 211513) is made at the studio for folk costumes of Balkanfolk. It is of white cotton fabric with traditional Bulgarian embroidery. Once you complete your order, you will be able to fill in a special form with your size. Time to make a shirt is 30 days.